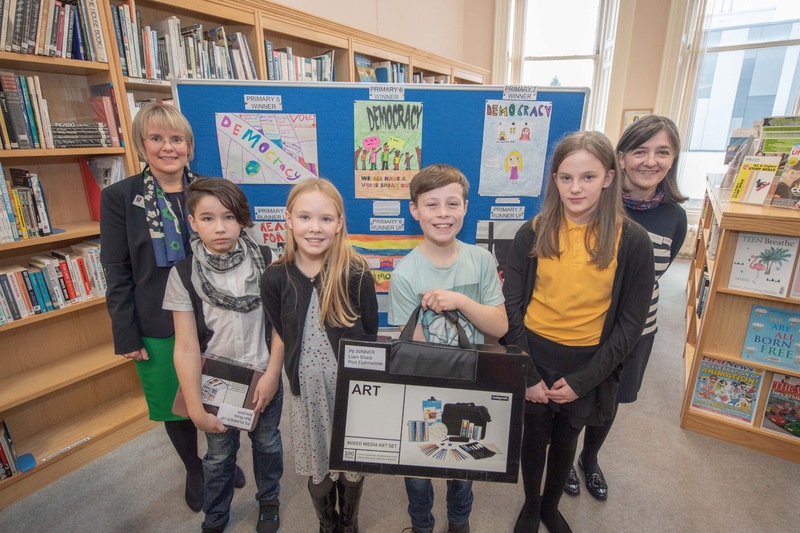 The Democracy in Art Poster Award was open to primary boys and girls between primary five and primary seven from schools across Aberdeen and Aberdeenshire. The award was organised by the school as a way of marking the centenary of the vote for women. It was also designed to give pupils an opportunity to develop their understanding of what it means to be a responsible contributor to society. Entries were invited from youngsters across the region based on the broad theme of democracy. Everyone who took part in the artistic competition was invited, along with their families and also their art teachers, to attend an exhibition of the artworks at St Margaret’s. The winners and runners-up were formally announced at the event which took place last Saturday. We were delighted to welcome the young artists who entered the first St Margaret’s Poster Art Competition, as well as their families and teachers. The subject of democracy obviously appealed to and captured the imaginations of the pupils who entered and we were overwhelmed by the amount of entries we received. Certificates were given to all entrants to the competition, which was sponsored by Hobbycraft, Papeterie Crafts and Soroptimist International Aberdeen, with representatives from Soroptomist International and RGU’s Gray’s School of Art being on the judging panel. The winners and runners-up in each category also received a mixed media art set. A paper box and craft set was also given to the class of the winning school in each category, as well as a £50 cash prize.